Gotta season Up Those Grates! This Would Be A Lot of Fun To Cook On! While Joey Ciolino Works his welding magic to make the frame on this classic Performer rock solid I’ve been cleaning the lid, gas assist cover and bottom rack. First hit the lid with some dawn and 000 steel wool. One of my fishermen was kind enough to donate some tuna to the cause. -A simple soy/sesame/red pepper flake marinade overnight and now they are placed on the grates to dry for an hour or two. Light eight briquettes in the chimney and set up the charcoal basket in the smoker using the snake method with cherry chips and mesquite chunks. The charcoal will slowly work its way around not having the entire basket of charcoal going at once will help keep the temps down. 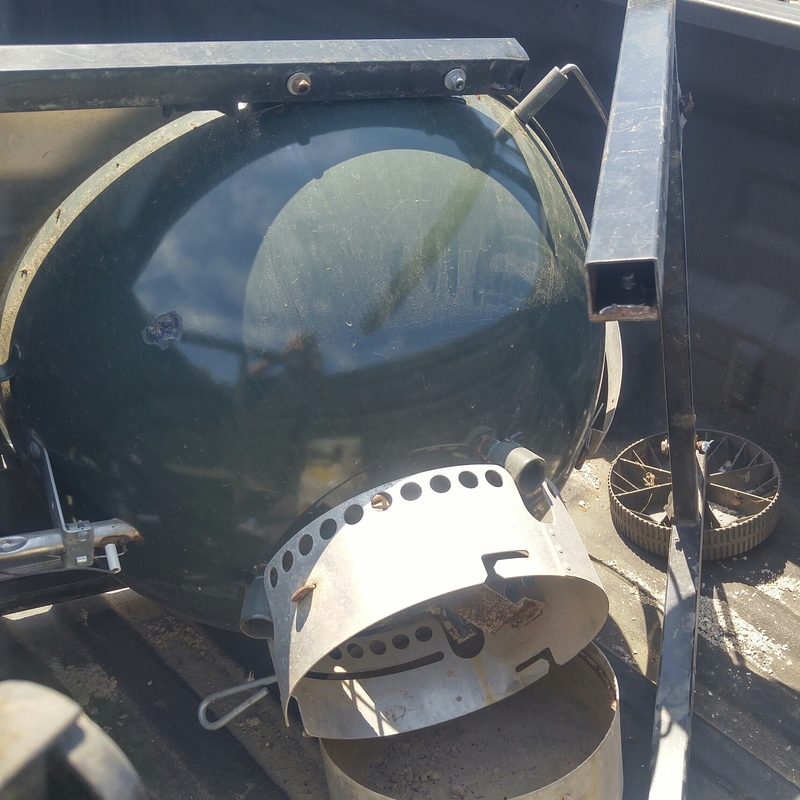 We are looking to smoke around 250 degrees. The tuna is placed with small gaps in between so the smoke can come on up through hitting each piece of tuna. The Maverick 732 grate probe is placed and another probe for the internal temp of the tuna. We will look to bring the internal temp on the tuna to about 135 F.
130 degrees internal temp, Pulled the steaks off. Got that last nut and the base is secure. Can’t figure out what this wire rod goes to but it did come in handy this morning. 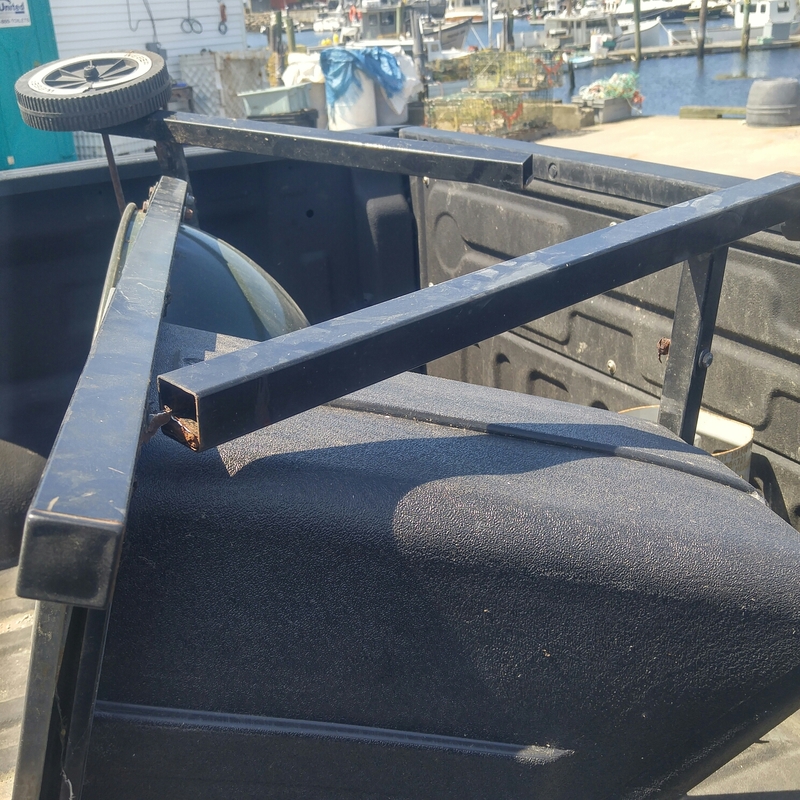 I placed the top part of the frame on top of the base to see how it lined up and hooked up the 5lb propane tank to try it out. First ten clicks nothing but I did smell propane. 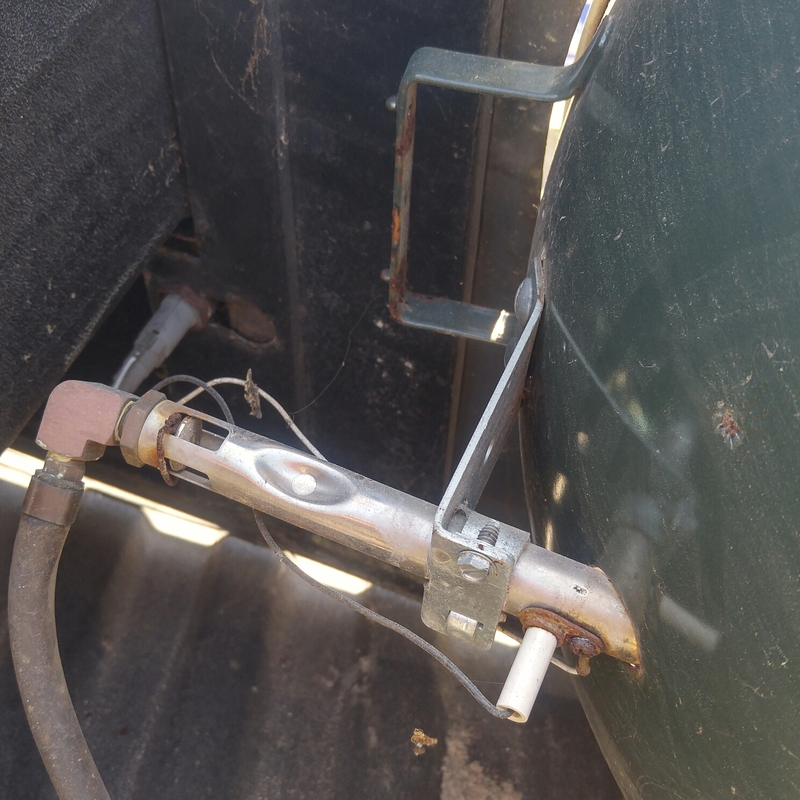 So I stuck the wire rod into the burner tube thinking maybe there was an obstruction, twirling it around a bit. After that, success! 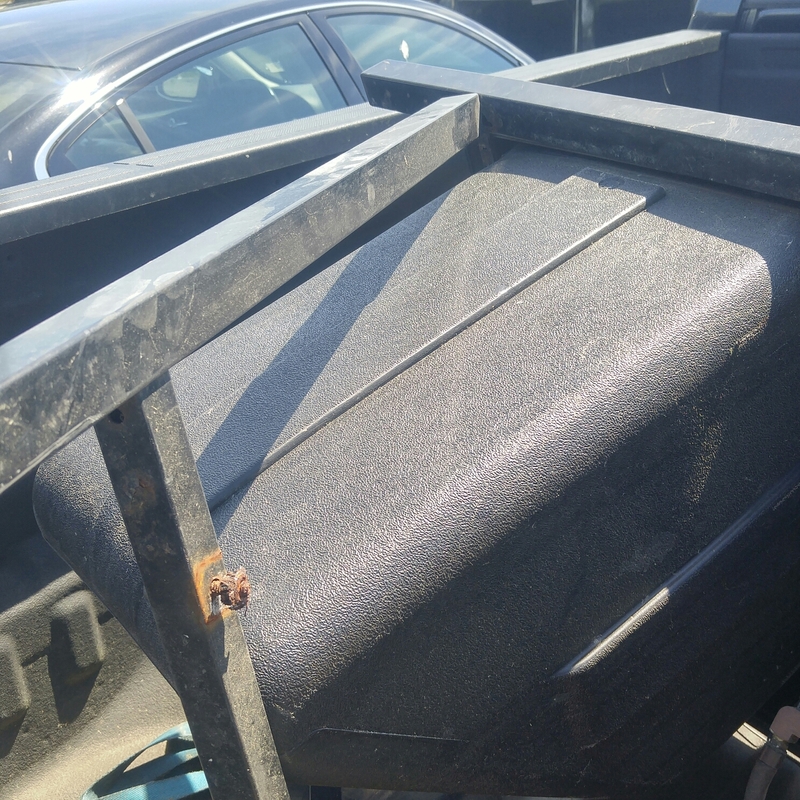 My buddy Joey Ciolino who is a master welder picked her up to secure the top of the frame to the base. I’m excited to see his work! 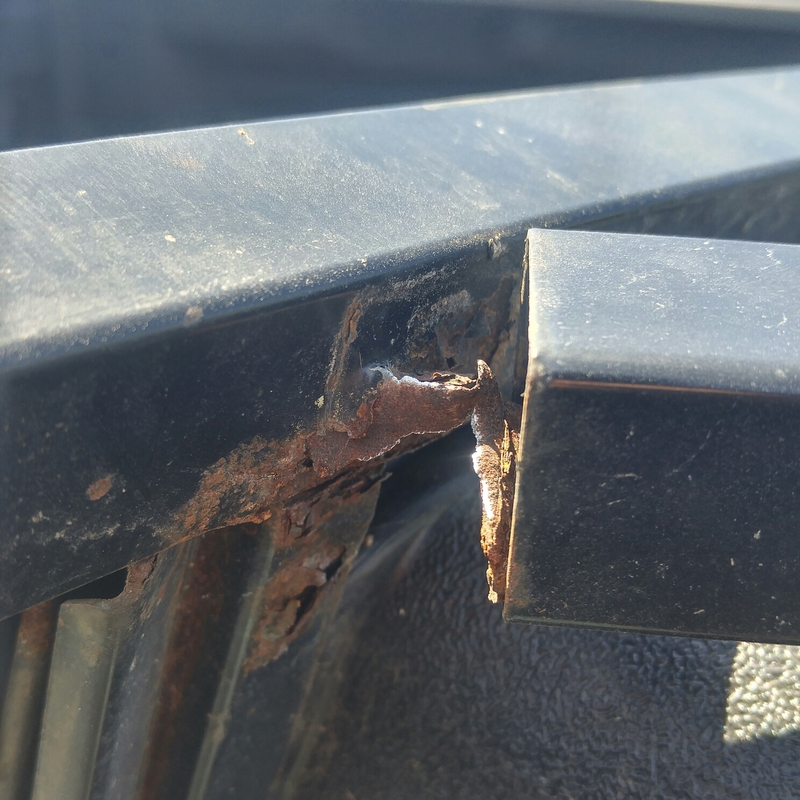 First need to remove the rusted off bolts that secured the Performer’s horizontal cross brace square tubes. Sprayed them with WD-40, put a vice grip on the rusted bolt and another on the nut and with a little pressure they snapped right off, all four of them. 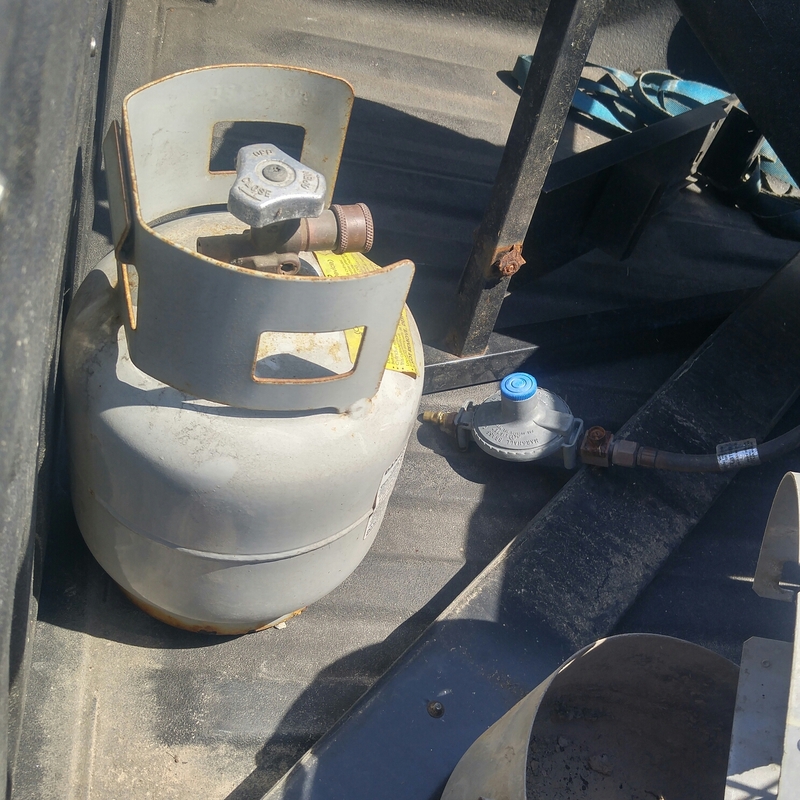 A photo to remember exactly where the Gas assist tank holder goes before I disassemble it. For anyone that wold rather replace the bolts with more original starnuts and a bolt, the one that came on the Performer originally is 2 inches. 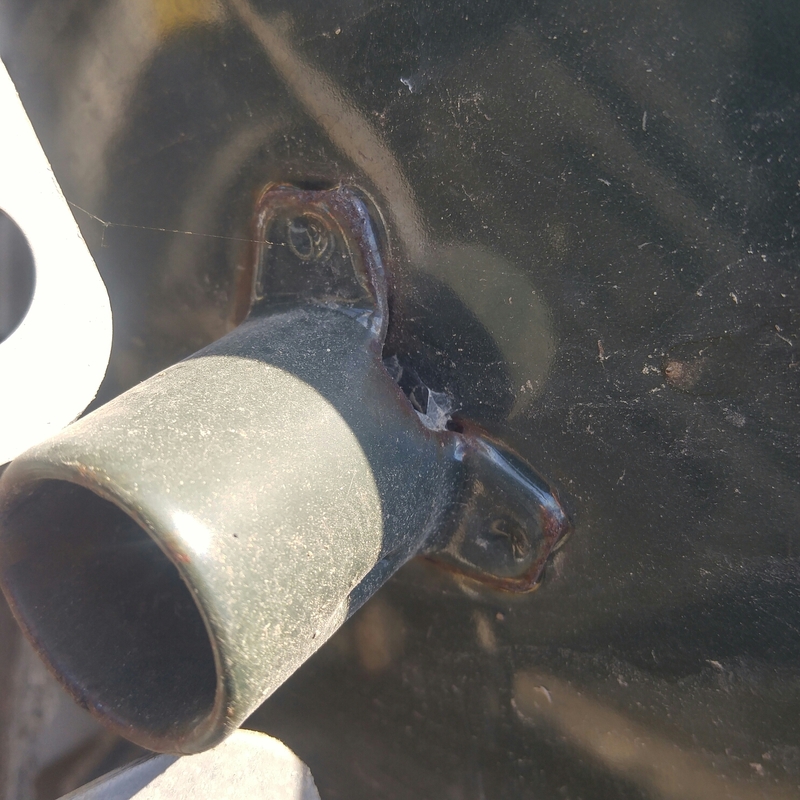 As I decided to run a threaded rod all the way through the square cross-brace tube and the holes where the bolts I removed was located and then cap the rod off with an acorn nut. Here was the hardware from Ace Hometown Hardware store, Gloucester MA. 4 acorn nuts, 8 nuts to secure the washers inside the square tube and 4 washers which were the diameter of the inside of the tube to hold it in place. So I get to the last nut, 8th out of 8, 7 went on flawlessly and were all adjusted to right where I wanted them on the threaded rod. Wouldn’t you know that last nut wouldn’t go on. So I put the vice grips to it and it wasn’t til I got about an inch on that I realized that I stripped the thread and there would be no way the acorn nut would screw on. So back to the hardware store for a new rod and a three extra nuts (for insurance). the rod was only $2.39 at the Building Center Gloucester MA. I needed two nuts to finish securing the bottom of the frame. I could only get two of them on and I wasn’t about to strip another rod so I’ll have to wait til i get out of work to get a nut that fits. The nuts must be mixed with different threads. Driving me nuts. So here it is, installed. I used one of the original washers from the Performer just before the acorn nut. On the other side I had to cut off about an inch from the rod but now the frame is much more stable. Hopefully I get out of work in time to grab another nut to finish off this part of the project. Next up having my buddy Joe Ciolino tack weld the top part of the frame to the vertical supports on the bottom of the frame. So here she sits, uncleaned but with reattached horizontal cross tubes on the bottom of the frame (minus that one damn nut). Everything works, I’m pretty sure all I need to do is tack the legs to the frame and it’s missing one of the casters. The bowl is in great shape. The charcoal bin is in great shape, the ash sweeps work well. 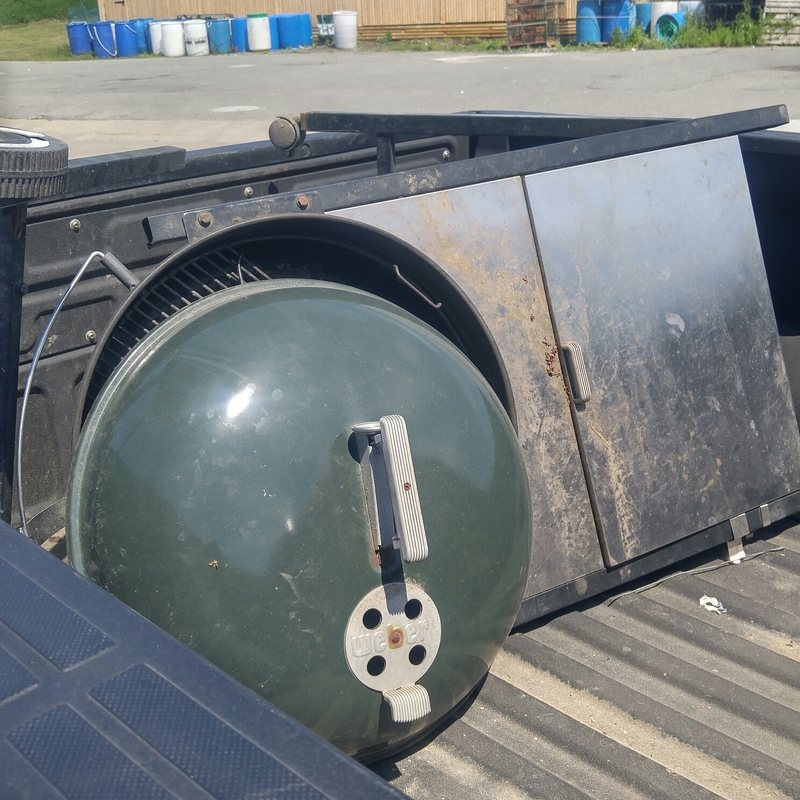 Green @WeberGrills EI Code SS Gas Assist Performer With great condition bowl, stainless table, Charcoal bin. Legs need to be tacked on. Went to watch the Syracuse March Madness game with my nephew BJ and BIL Barry and decided to try out the STOK Charcoal Basket that comes with the STOK Charcoal Drum for indirect cooking of some chicken wings. 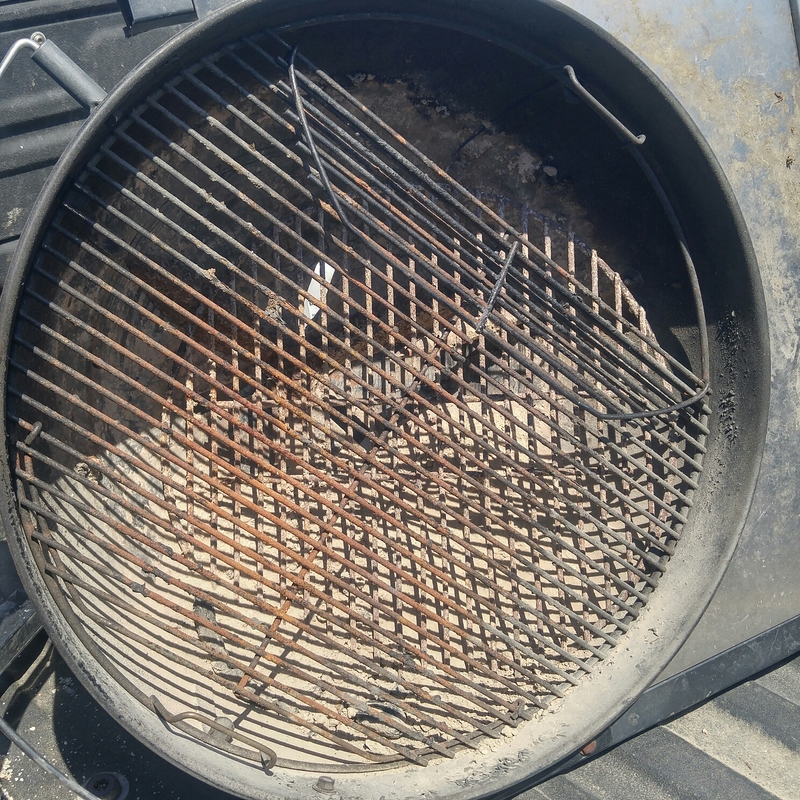 People rave about the Vortex and it’s capabilities on all the BBQ forums and a couple of weeks ago I realized that the STOK charcoal basket insert is very similar in shape and is made to place right in the center of the grate where one would place the vortex unit on a Weber Kettle. I used it to sear a ribeye a couple weeks ago and it worked perfectly. That was using the charcoal basket upside down and searing the ribeye directly over the coals inside the vortex for an excellent sear. For chicken wings you set up the charcoal basket upside down again but you cook the chicken wings on the outside perimeter of the grill grates for indirect heat. By 6:19PM they were ready to dump directly into the upside down STOK charcoal basket. I bought 4 lbs of chicken wings with the drumsticks attached and cut them with heavy duty kitchen shears to separate the wings from the drumsticks. Placed the chicken in a large ziplock bag and added 1/4 cup of Paul Prudhomme Blackened Rub and a 1/4 cup of peanut oil to the ziplock bag and shook it up to coat the wings. Then they sat in the fridge until ready to cook. 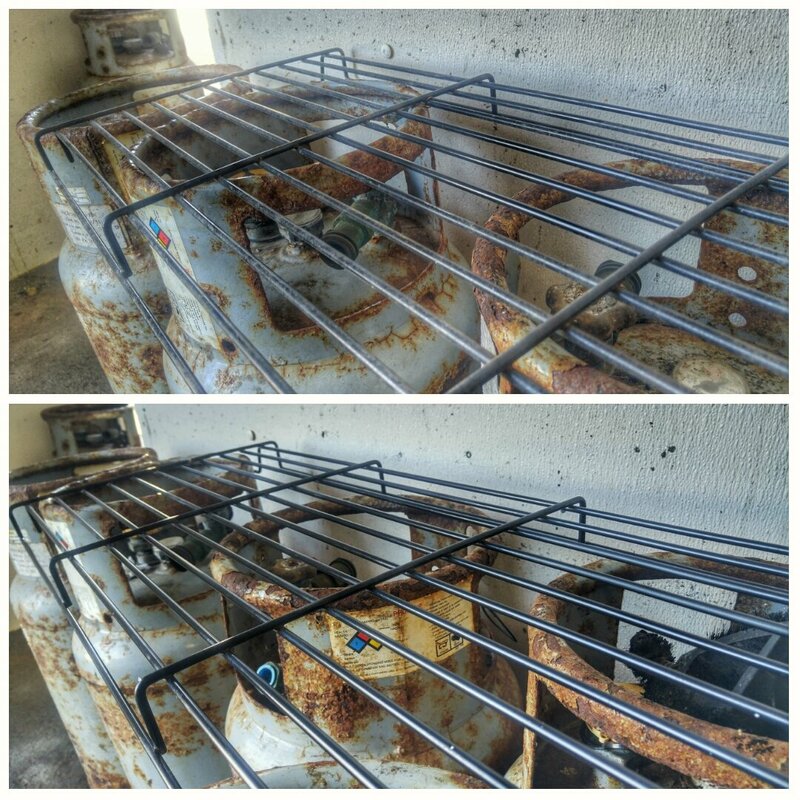 At 6:25PM the center grate of the STOK insert system was replaced after the coals were dumped and the chicken was placed around the perimeter of the grill grate with the meatiest parts of the chicken facing inward and skin side up. 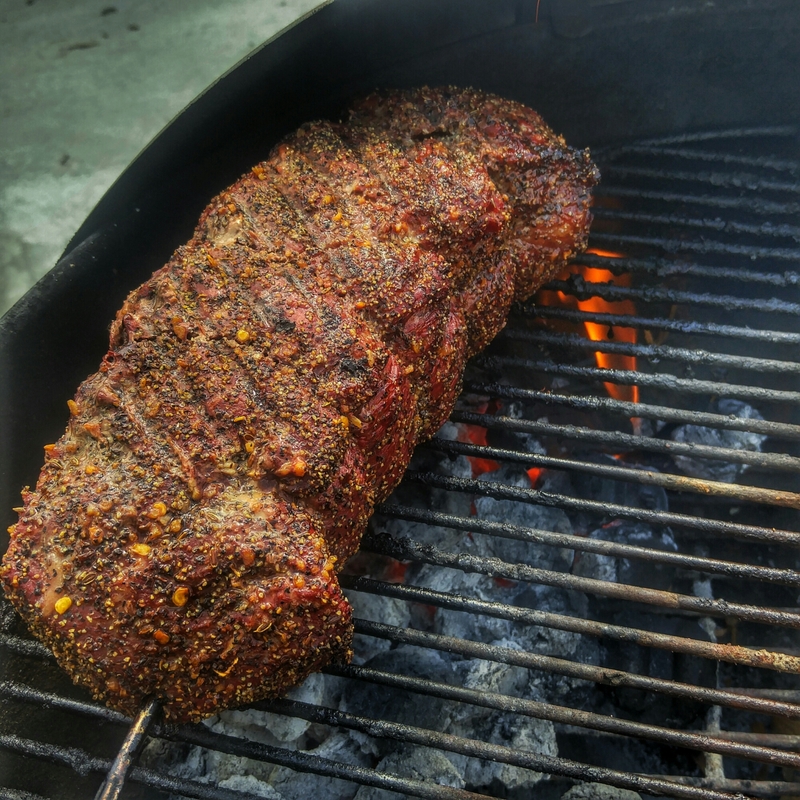 One hunk of mesquite placed in the center directly over the coals for smoke. 6:38 mark. In the future I will trust the cooking and not lift the lid for at least 25 minutes. the dome temp from the STOK drum read around 575 and I closed the bottom vent 2/3 of the way to make sure temps didn’t run away. 7:01 Dome temp 480. I figure the temps at grate level are probably 75 degrees less. next time I’ll do a check. 7:05 checking the chicken internal temps they were registering anywhere from 168- 182. Time to come off. The skin was bite through crispy and the chicken was juicy and flavorful. Best I’ve ever done and my BIL Barry and nephew BJ, both Wing connoisseurs said they were hands down the best they’ve ever eaten. It’s Official- I’m @WeberGrills Griller Of The Week- WOOOOOT! Labor of Love Doesn’t Begin To Describe The Fun I Have Putting www.northeastbbq.com – A Coastal New England BBQ Journal Together. Nice to have some recognition from my favorite grill company. Drumsticks have been on sale lately so Drumsticks it is. 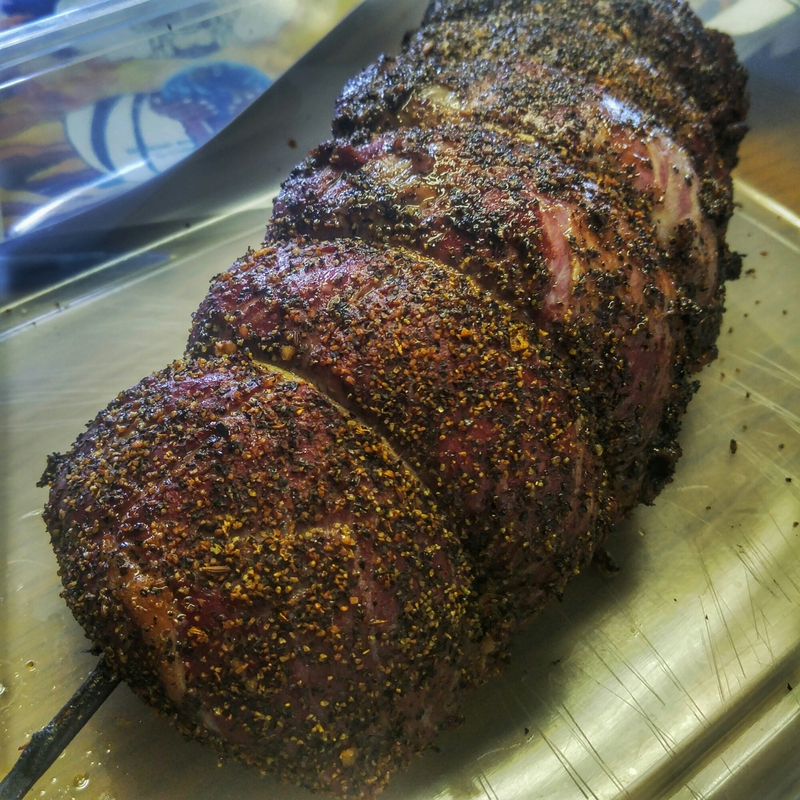 Rubbed Down With EVOO, Coarse Salt, Restaurant Grind Black Pepper and Montreal Seasoning. Set Up The Kettle Using The Snake Method with Briquettes, Mesquite Chunks and Cherry Chips. Loin Hits The Kettle At 9:57AM. Monitoring the Temps With the Maverick 732 Remote Temperature Probe. Looking For 120 degrees internal before we pull it off. Pit temps wanted to settle in at 275 or so. At 11:10PM internal temps were 122. Pulled it.